Product #21088 | SKU 021535 | 0.0 (no ratings yet) Thanks for your rating! 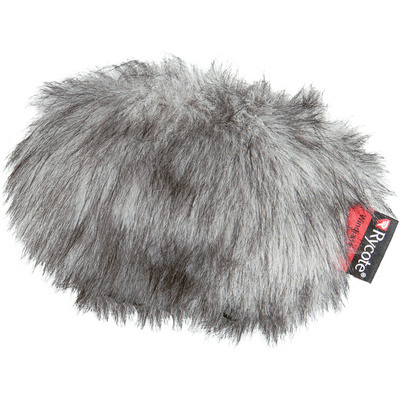 The Rycote Windjammer #10 is a synthetic fur cover that offer approximately 12dB of wind-noise reduction over a standard windshield. They fit securely using locking zip fasteners and Touch Fastener-tabs. The materials used are exceptionally transparent to audio and will remain so if regularly groomed with the brush provided. Each Windjammer fits one specific size of Rycote Windshield. This windjammer fits the WS10 Windshield System.